Warning: Sudden outbreak of the prehistoric kind in Cornwall! Do you have what it takes to survive? 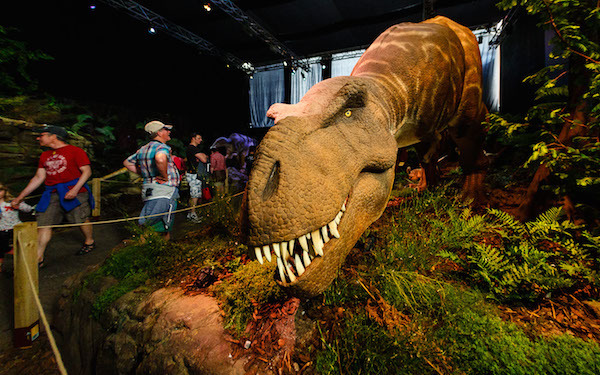 The Eden Project in Cornwall invites you to step back 67 million years into The Domain of the Dinosaurs with a new installation where you will become face to face with prehistoric creatures. This summer visitors had the chance to track down the ferocious Australovenator in amongst the greenery, chat with real life dinosaur specialists and find out if they have what it takes to survive in the jungle. There were many different types of dinosaur waiting to be found in the exotic landscape and all can be logged in the free Adventure Journal provided by Eden. This mighty journey allowed visitors the chance to become up close and personal with beasts big and small, on land or under the ocean! You will even have the chance to see some ‘cute’ Dromaeosaurus babies! This fully immersive experience shows how the Eden project can teach us so much about our planet both old and new whilst having an absolute blast! 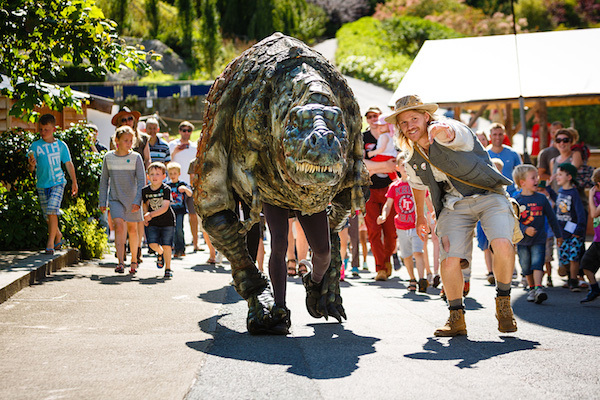 Our team at Street Advertising Services were approached by the Eden project to help raise awareness of The Domain of the Dinosaurs big adventure! 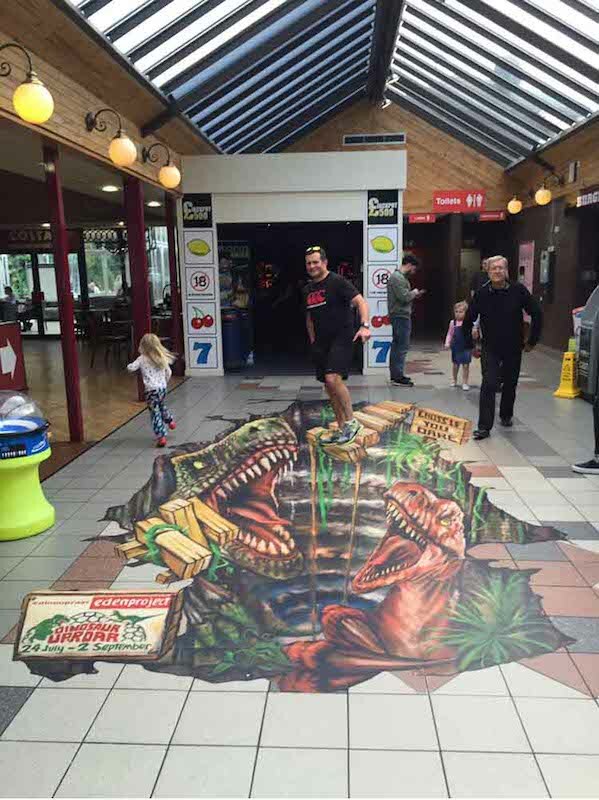 We put our artists to work and created a fantastic piece of 3D Street Art that ferociously jumps out at you! People at the service stations close to The Eden Project were able to interact with the art and share their pics on social media. This raised awareness of the new attraction and allowed representatives of The Eden Project to chat to families passing through about the exciting new things going on in the jungle! Do you have an event or brand message that you want to share? 3D Street Art could well be the PR pull you are looking for! 3D Street Art creates a real reason to chat to your target audience and generates organic shares on social media! Drop us an email and we will send you our 3D Street Art Information pack with loads of examples of previous campaigns! Our friendly team is happy to talk you through our options and prices with no obligation. Get in touch now and make your brand go 3 dimensional!